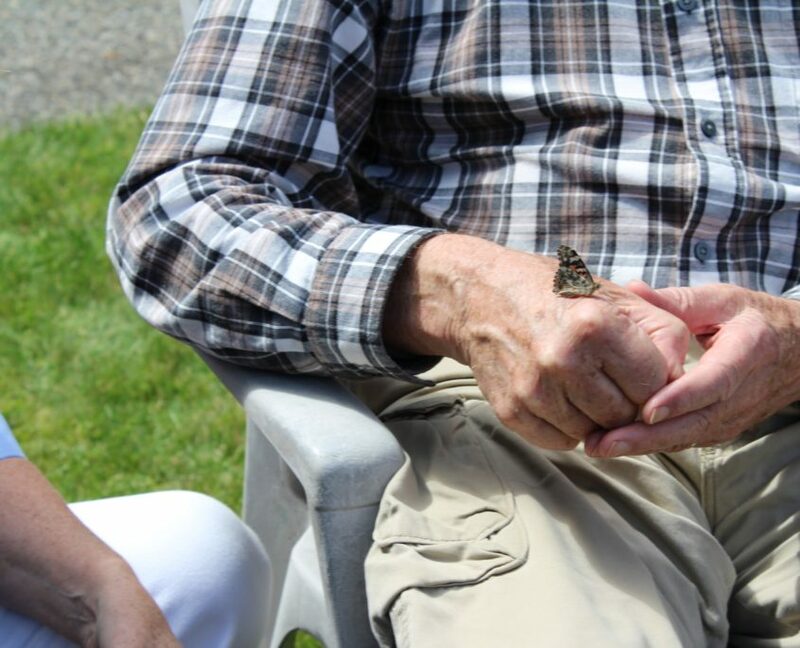 Menno Place hosted their second annual Butterfly Release Celebration for seniors, families, and staff in the beautifully landscaped courtyard in the center of the 11-acre campus of care in Abbotsford. 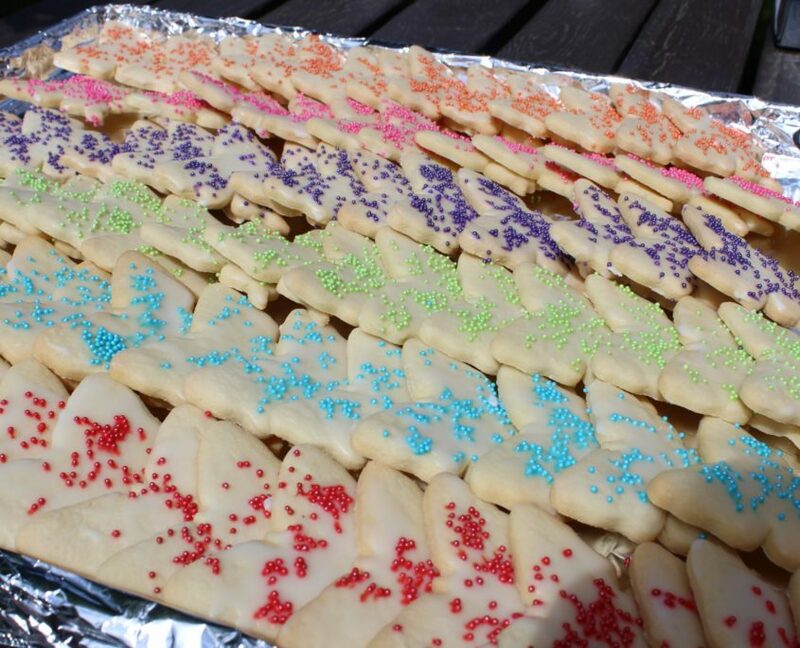 Residents, family members, and staff were encouraged to purchase butterflies for release on this very special occasion. Butterflies were eagerly purchased with all proceeds going to pet therapy programs at Menno Place. 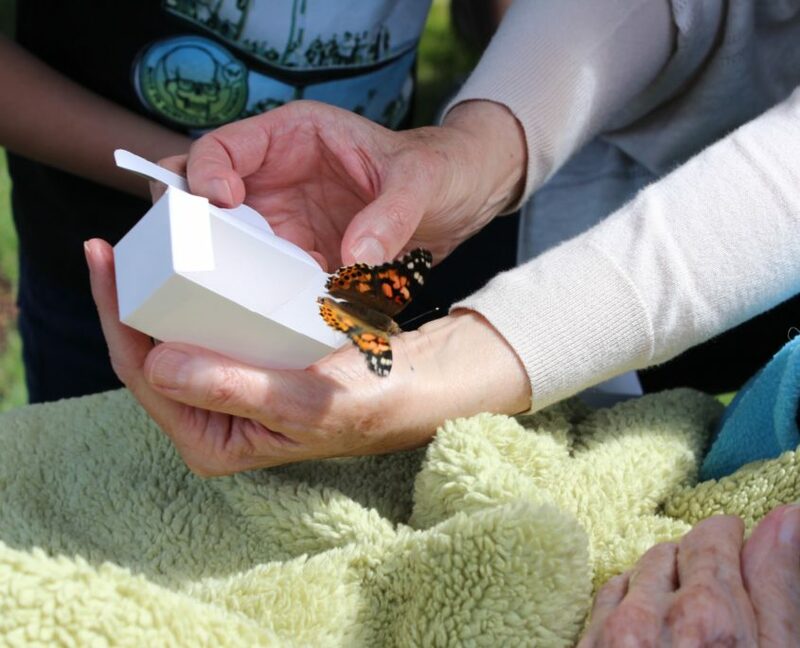 Joanne Sweeney, Recreation Manager, is very familiar with the way a Butterfly Release Celebration opens up joy and symbolizes hope for seniors. She is the visionary behind this meaningful and moving event. 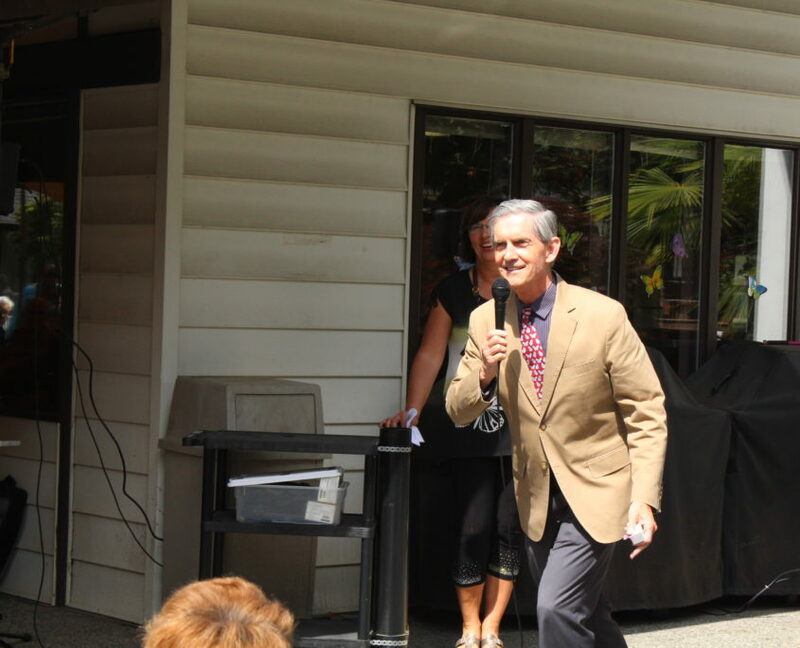 More than 150 friends and family joined the residents and staff for this afternoon celebration. Throughout the courtyard, groups were clustered together to share both joy and sorrow. Many butterflies landed in the newly landscaped butterfly garden before carrying on in their freedom. The Butterfly Release is a celebration of life and can be used to symbolize the transitions we face, the joy we have in this moment, the honouring of someone we love, and the remembrance of someone who has passed. Some families simply release a butterfly for fun, and to feel the wonder of the world in which we live. 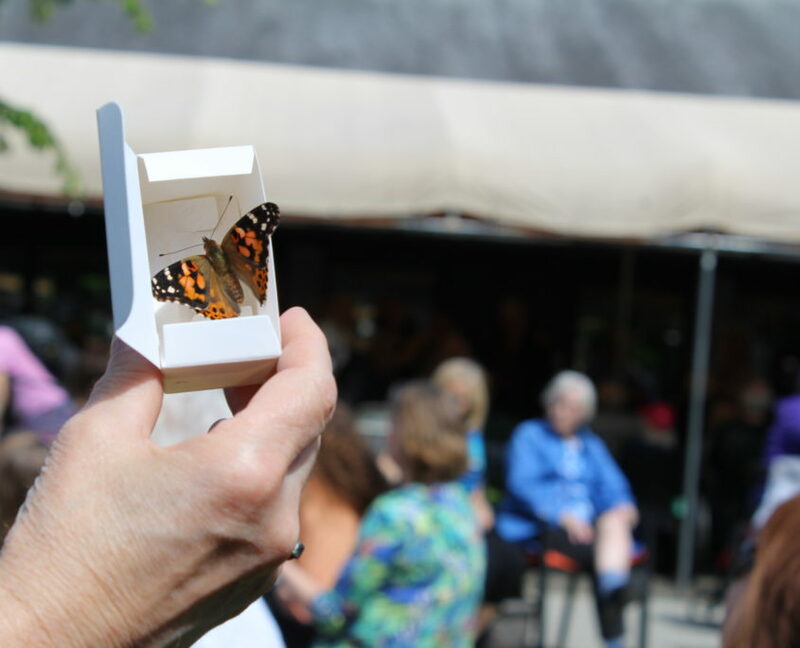 Before the Butterfly Release in the afternoon, Menno Place held their annual Memorial Service, to remember the residents who had passed away in the previous year. Many people who were participating in the Butterfly Release first attended the Memorial, which included an open mic time of sharing with the community memories of loved ones lost.